Day 3: we did it! It's the end of spring's edition of Mercedes-Benz Fashion Week Ljubljana and the official ending of fashion week season here in Ljubljana. These past few days were exhausting and stressful, but still very entertaining nonetheless. New connections, new experiences, new way of thinking and approaching certain situations. This is the best way to describe my fashion week experience. Day 3 was the most disappointing out of them all regarding fashion: with the exception of D'Alpaos nobody really impressed me with their presented collection. That's why I decided that I won't go into details about every single collection, but do recommend you to check out D'Alpaos official website. He is a really talented Italian designer that definitely deserves more recognition and exposure. My favourites from spring's editions still remain Peter Movrin, IVANMAN and Milica Vukadinovic. All talented designers, with innovative ideas and a clear vision of their brand. This is without a doubt my favourite fashion week look. Maybe ever. 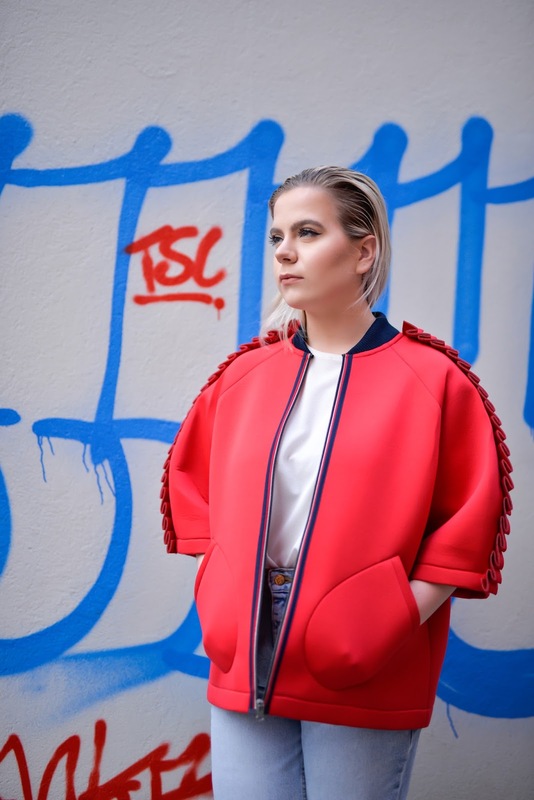 The main focus of the outfit is of course this stunning red, structured jacket with striped zipper and sleeve detailing - it is from a Slovenian designer Almira Sadar. Her new spring and summer collection is absolutely beautiful, so I would recommend you to check it out (click here). I paired the jacket with a plain white t-shirt from Mango, vintage jeans and rose gold heels from Public desire. Ending of another fashion week season. It's been a fun experience, which of course didn't go as smoothly as we would hope. But that is expected in the fashion industry and blogging in general. 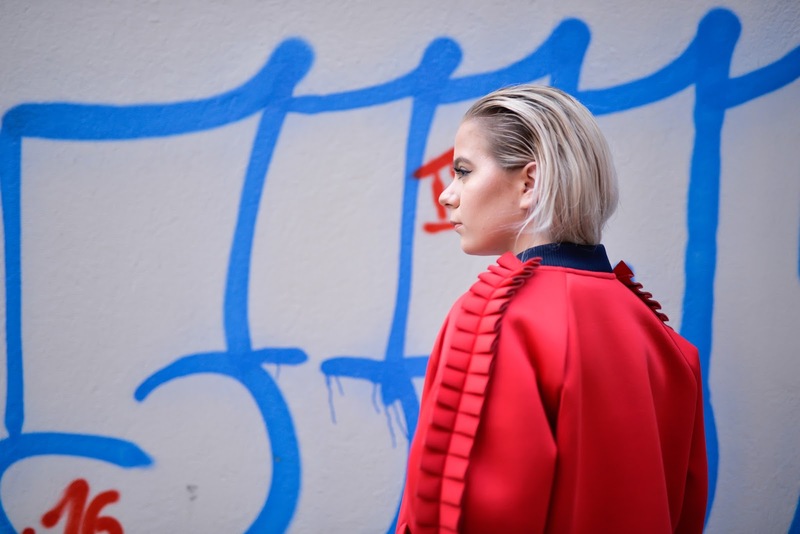 I really want to share some of my thoughts about what really goes on behind the scenes so stay tuned for my upcoming post: The truth about fashion week.